Hot Tub or Swim Spa? Let’s face it. Life gets busier and more demanding each day; it seems you never have time to rest. Imagine your own personal getaway; a place where you can relax, meditate and enjoy quiet times alone, with family or with friends. Feel the stress and tension seep out of your body as you sit back, stretch out and let the combination of warm water, pulsating jets and the natural buoyancy of the water do its magic. The heat of your Hydropool hot tub results in collagen tissue becoming more flexible, benefiting many people with arthritic symptoms. Doctors have advised people with arthritis that soaking in warm water several times a day relaxes muscles and joints and helps induce a restful sleep. The resulting stress and muscle tension relief has also led many migraine sufferers to claim that hot tub use reduces the frequency and severity of their headaches. The heat, improved blood circulation, tension relief, and quicker lactic acid removal will result in a comforting state of relaxation and tranquility, assisting you to sleep better at night. Hydropool hot tubs are installed in over 40 countries for both private and professional uses. Through years of cooperation with our Hydrotherapy consultants and partners, we have now been able to develop aromatherapy, chromotherapy and reflexology to our hot tubs. 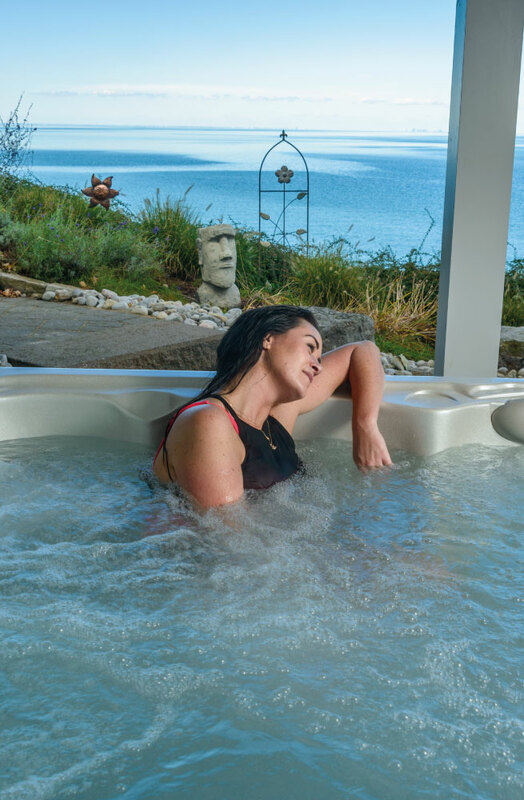 The Wellness Guide allows any customer the ability to achieve the desired results with any of our self-cleaning hot tubs. Each type of hydrotherapy programme (an underwater circuit) is outlined, made easy to understand and perform from our Wellness Guide. 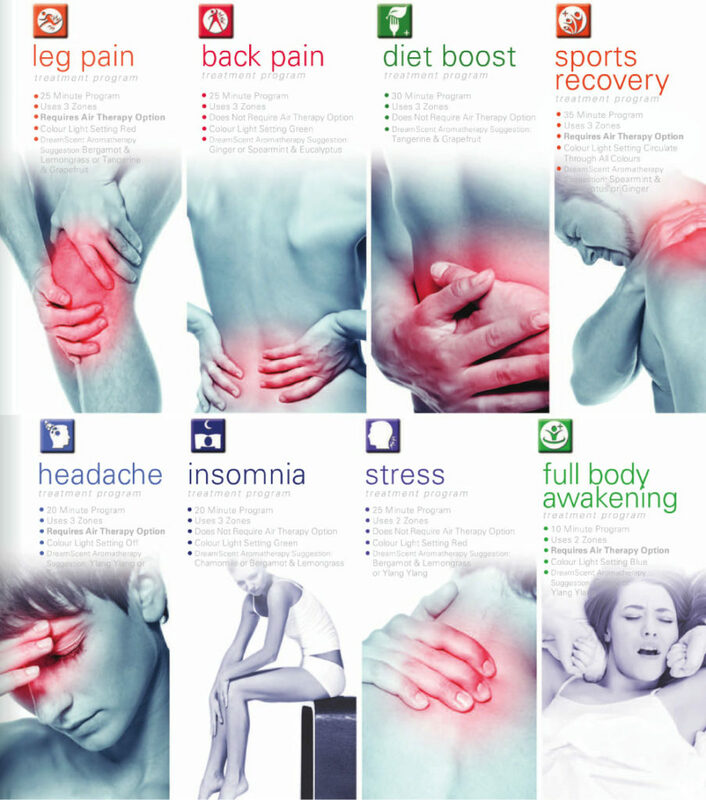 We offer the first true wellness spa in the industry. At the touch of a button, choose your Wellness Programme. Naturally follow your hot tub sequence to achieve your desired therapeutic results. Sit back and enjoy the only automated wellness spa in the industry. Swimming provides an effective workout plan that gets the heart going – it’s good for both weight loss and for improving cardiovascular function. Unlike running or walking, there is no impact on the joints, which is important for those who may be severely overweight or those with joint pain. Unlike other types of exercise, like treadmills and workout gyms, people tend to enjoy swimming. When you enjoy doing something, you are more likely to do it. A Hydropool swim spa is an opportunity for you to get an intense workout right from your pool. However, a swim spa offers other added benefits that a traditional pool may not offer, and not just exercise related – in fact, this can be the perfect place to relax and unwind. Hydropool swim spas are safe for all ages. With adult supervision, the kids will enjoy splashing around in the pool or building their swimming skills. It is also a good option for those who want just to have a place for the kids to cool down in the hot summer months. The system uses elastic or hydraulic tension to create the resistance (counter weight) through training; this provides significant functional benefits and improvement in overall health and well-being. The system offers the versatility of resistance band exercises, which allows the athlete to mirror very closely the movement patterns in their sport, providing less chance of any injury. A combination of stainless steel oars and rubber bands attached to swivel elements allows you to do a rowing motion. This exercise uses all of your major muscle groups and strengthens muscles in your legs, back, abdomen, shoulders and arms. The step exercise is low impact, making it easier on your joints. Both activities exercise muscles in a continuous rhythmic motion for control of body weight, relieving depression and helping you sleep better. Hydropool swim spas are also perfect for a splash about with the kids. Turn off the current in the swim channel and you have a splash/plunge pool. Adults can relax comfortably in the seating end of the swim spa whilst the kids splash and swim (or join in the fun!). The side of the swim spa is always within reach, and the tank shape and depth allow for the personal training of any first time swimmer. Alternatively, attach a harness to the new AquaPlay Anchor and use a boogie board. Get active in your swim spa! Hydropool Staffordshire is Staffordshire’s only supplier of Hydropool hot tubs and swim spas. Based at Breeze House in Leek, Staffordshire, we offer a dedicated indoor showroom featuring a large collection of Hydropool products, including the world’s only self-cleaning hot tub and swim spa range. ©2019 Hydropool Staffordshire - Built by ellodave.